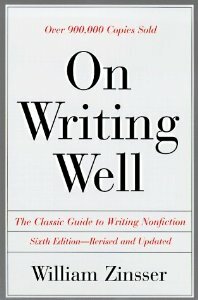 I found a copy of the 1998 version of “On Writing Well,” while rummaging around used books at the local library. I’ve been looking for books on creative writing, convinced that I can learn most of the tricks of the trade without shelling out big bucks for an MFA. When I held up the book I had found to a colleague, I asked the obvious question, “Is it any good?” She shrugged her shoulders and stated rather simply that “It’s a classic.” That didn’t seem like a huge endorsement, but I was impressed that over 900,000 copies had been sold, so brought the book home with me. At the very least, the “classic” had to have been required reading for a few college courses to rack up those kind of sales numbers. However, when I looked up the book online, it appears that the 30th anniversary edition, published in 2006, claims over 1,000,000 copies. If I interpret the numbers literally, that means 100,000 copies sold in the eight years between 1998 and 2006, or 12,500 a year. Okay, it’s not the Hunger Games kind of numbers, but probably a decent megahit for the reference section. By coincidence, I just received an e-newsletter from Poets & Writers that announced their list of “Best Books for Writers.” I think it’s wonderful that they took the time to compile this information, and the web pages include links to the books on OpenLibrary, GoodReads, and LibraryThing. 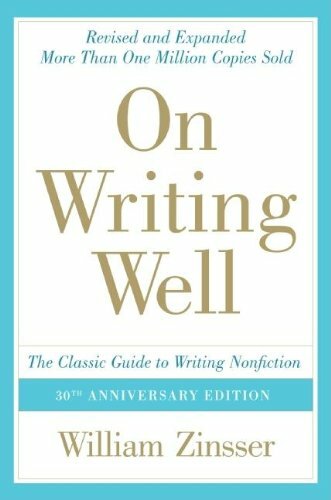 Full disclaimer–I have not read the book “On Writing Well,” although am happy to add it to the stack of books on my night table for future consumption. I’ll take the sales numbers as an endorsement, for now. However, when I’m ready for another resource, I’ll check out one of the many resources identified by P&W as a worthy resource to writers who want to improve their craft. So many to choose from!